For 4 days, Manresa offers 106 shows around some thirty areas. Fira Mediterrània of Manresa is a market for new artistic creations inspired by Catalan traditions or those common to the Mediterranean shores. 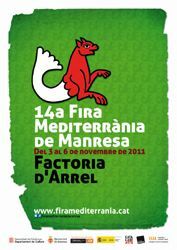 Organised by the Fira Mediterrània Foundation, it has been held annually in Manresa for thirteen years, during the first weekend of November. 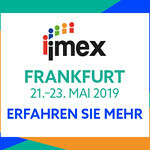 The 14th edition of the Market will be held from 3 to 6 November 2011. * Music, theatre and dance shows. Most of the shows are Catalan, but the event is open to all regions of the Mediterranean: in the past, the Trade Fair has featured acts from nearby Occitan and Piedmont, to more distant regions, such as Greece, Lebanon, North Africa and the Near East, and others. The Fira Mediterrània of Manresa is organised by a Foundation, which consists of a team of professionals who works throughout the year so that this market of shows is a success for both professionals and spectators.